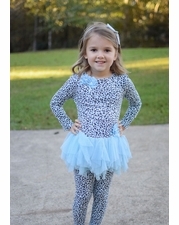 Absolutely adorable flattering blue cheetah dress by Kate Mack. 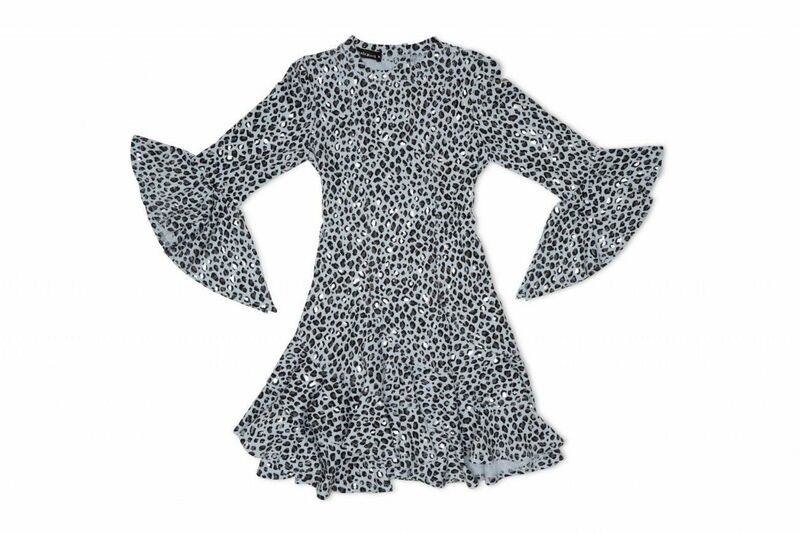 This boutique long sleeve dress is gorgeous with its shimmery cheetah print and classic fit. The body has a fit and flare style with a perfect tie in the back to adjust for the perfect fit. The sleeves are long and flare out at the cuffs for a trendy look. 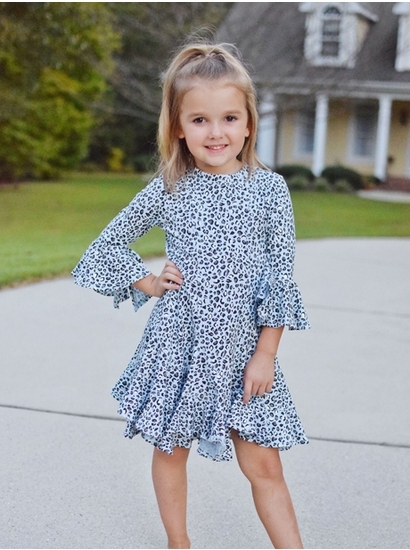 The blue cheetah dress is absolutely precious and holiday party ready! 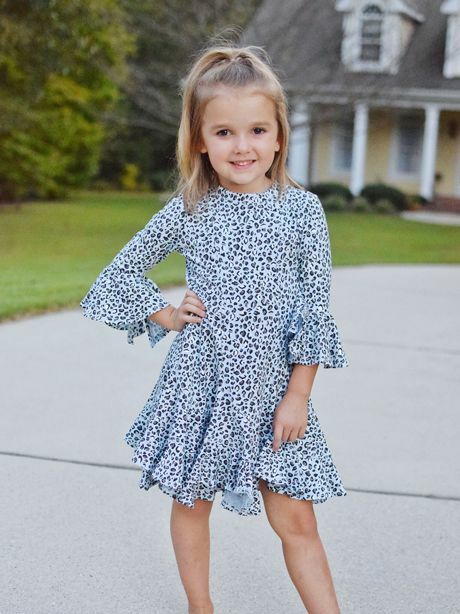 Order your blue print Kate Mack dress now in sizes 4-12 years. Runs very true to size. Size up if in between sizes or need room for growth! 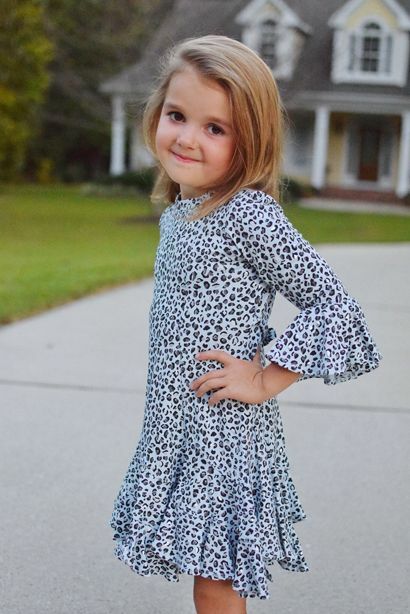 Fee free to email sales@adorableschildren.com or call us at 877-767-8579 for specific measurements!